When will be Weekends with Yankee next episode air date? 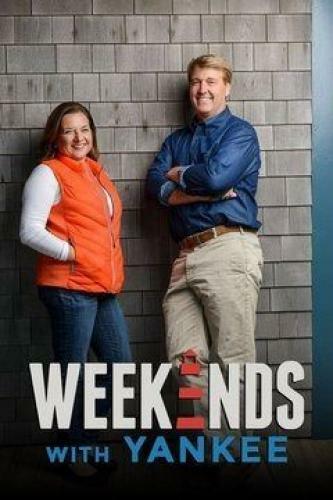 Is Weekends with Yankee renewed or cancelled? Where to countdown Weekends with Yankee air dates? Is Weekends with Yankee worth watching? The cities, countryside locales and unique attractions of New England. The Well at Jordan's Farm; Connecticut's Grace Farms; fly-fishing with artist and writer James Prosek. Stockbridge, Mass., home of the Norman Rockwell Museum, is toured. Also: Woodstock, Vt., home to the ultimate general store, Gillingham & Sons; and Biddeford, Maine, home to the Palace Diner. An autumn tour of New England features New Hampshire's famed Kancamagus Highway, one of the region's most scenic drives; and Kent, Conn., which Yankee magazine calls the region's best foliage town. Also: Vermont cheesemaker Allison Hooper. The Season 1 finale spotlights New England during winter. Included: a horse-drawn sleigh in Jackson, N.H.; and cross-country skiing on a pristine trail in northern New England. Also: a culinary tour of Boston with chef Barbara Lynch. Weekends with Yankee next episode air date provides TVMaze for you. EpisoDate.com is your TV show guide to Countdown Weekends with Yankee Episode Air Dates and to stay in touch with Weekends with Yankee next episode Air Date and your others favorite TV Shows. Add the shows you like to a "Watchlist" and let the site take it from there.